Governorship candidate of the People’s Democratic Party (PDP) and Governor of Ebonyi State, Chief David Umahi, has challenged the governorship candidates of the other political parties in the state to a debate. Umahi, apparently referring to the candidate of the All Progressives Congress (APC), Senator Sonni Ogbuoji, said that he was ready to engage the opposition candidates on an issue-based debate. The governor threw the challenge while addressing his supporters at his campaign rally held in Iboko, the headquarters of Izzi Local Government Area of the state. He said that his performance in office would serve as the basis of his campaign, indicating that the opposition party had nothing to offer the people of the state. 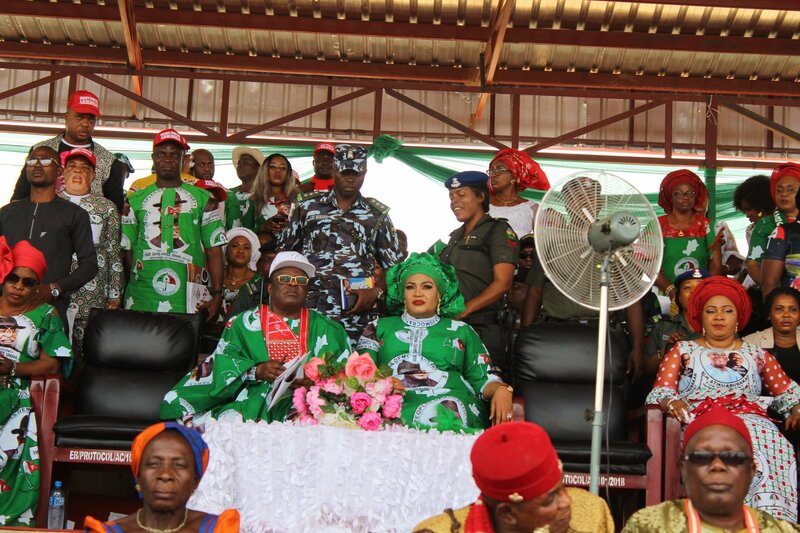 Umah appealed to Ebonyi citizens to vote for PDP candidates at all levels in coming elections, arguing that the PDP was the best option for the people. At the campaign ground, the governor announced the appointment of Dr Sunday Nwangele as a commissioner. Until his appointment, Nwangele was his Senior Special Assistant on Health Services. Before joining Umahi’s cabinet, he served former Governor Martin Elechi as Commissioner for Health. Meanwhile, Umahi announced that the zonal rally of the PDP has been slated to hold in Owerri, the Imo State capital on Tuesday next week. He said that the members of the party in the state would be mobilized to attend the zonal rally of the party.